The colour is that of gold spun from straw; clarified butter with a richness and depth that belies its character and sophistication. Medium body forming hundreds of thin, gossamer legs that hesitate before racing down the glass to join the spirit below. A complex but overall mild cocktail of aromas fill the nostrils and intoxicate the head – suggestions of wet Straw, lemon and pepper, saltwater and seaweed, fresh-cut grass, hessian, and licorice at the end. So smooth. A refreshing sweetness from the start, but not cloying – restrained and dignified; this followed almost immediately by a wave of iodine and the sea mingled with shockingly subdued peat, with oak and straw in the background. Now the peat is coming to the fore a bit stronger, but still, it is not abrupt or out of place – it belongs to this dram. Again, so amazingly smooth and immensely drinkable; I am smiling. On the finish, it is overall dry, with some lingering subtle sweetness that might be mistaken for ‘medicinal’ by some, and a pleasant, albeit heady, au revoir of peat with a hint of camphor or perhaps eucalyptus. 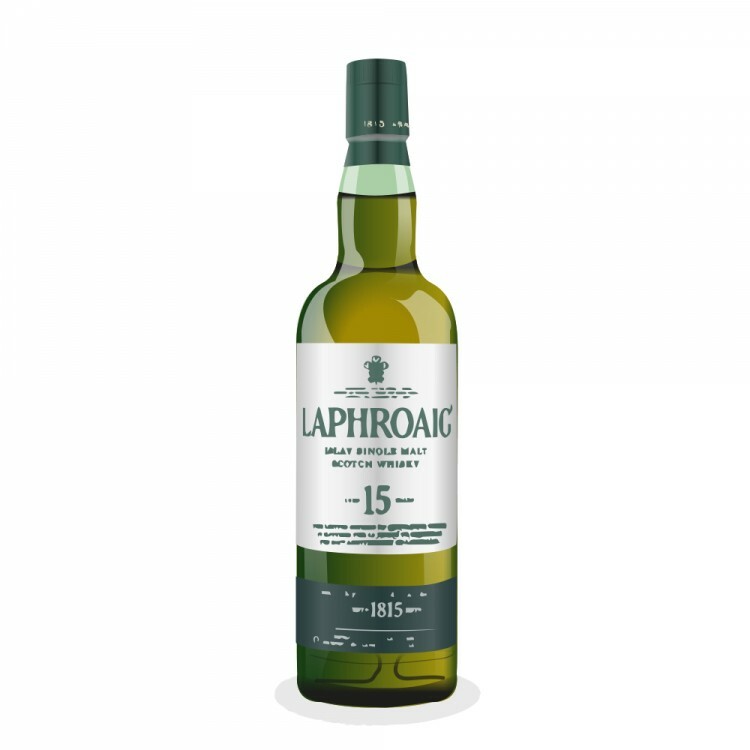 I have conducted this note while completing a side-by-side tasting of the Laphroaig 15 Year Old and the Laphroaig 18 Year Old. I am horribly biased and lack all objectivity in this matter as I am an avowed lover of the 15. Nevertheless, I have committed myself to giving both spirits a fair tasting, and will struggle through these drams with due rigor and whatever virtuosity I can muster. That being said, having completed the tasting of the 15 Year Old, I am once more amazed by this stellar expression of Islay malt. It is, in my opinion, a masterclass in a glass – demonstrating the qualities of craftsmanship, innovation, tradition, sophistication, abandon and restraint that are the hallmarks of distillers and of the distillers’ art, and in particular, those of Islay. On this outcropping of peat bog in the middle of the Atlantic, outlaw whisky-men distilled spirits using whatever resources were at hand…and created the magical elixirs we enjoy today. 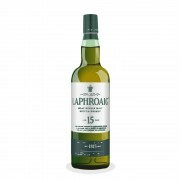 I count Laphroaig 15 among the many culminations of this arc, and am thankful each and every time I have the good fortune to enjoy a dram. Brilliant review @spiritsafe welcome to the site! Thanks Jean-Luc. It's my first, but I picked a familiar friend to write about!